James E. Kelly obituary. Carnes Funeral Home. 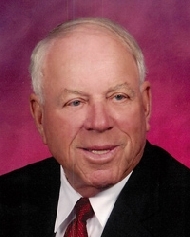 James E. “Jim” Kelly died Thursday March 12, 2015. He was 87. Jim was born May 30, 1927 in Galveston, Texas and was the son of Joseph John Kelly and Mary Agnes Kelly. He was preceded in death by wives Shirley Jean Kelly and Mildred Kelly; ex-wife Maxine Waldrop; son Michael Patrick Kelly; son Rick Marschner; sister Frances Berntsen and grandson John-Paul Caro. He leaves behind beloved grandchildren T.J. Aulds and wife Beth Lewis; Shannon Matus and husband Jay; Jay Delesandri and wife Tracy; Michael Delesandri; Dana Johannsen; Mary Colvin and husband Joseph; Emily Farha; Brent Pennington; John Pennington; Heather Pennington; James Fremont; Sarah Fremont and fiancé Robert Zepeda; Jessica Hazzard and husband Travis; Bryan Kelly and Alyssa Bell. Jim is also survived by great grandchildren Julia, Joe, Henry and William Colvin; Layla Farha; Ethan and Cora Zepeda; Nathan Hazzard; and Dallas, Dustin and Darian Johannsen; numerous nieces and nephews; and special family friend H.C. Samford. Growing up in Galveston, Jim worked small jobs and was once an usher at the famous Martini Theater. He graduated from Galveston’s George Ball High School. He enlisted in the U.S. Navy in 1944 and served his country for two years. In his professional career Jim was the owner and president of the insurance firm James E. Kelly, CLU, LUTCF, PC and was a member of the National Association of Life Underwriters and a member of its Million Dollar Roundtable and won the association’s National Quality Award and was a 40-year member of the Bay Area LUTCF Club. Early in his career he was the staff manager for Prudential Insurance offices in Pasadena, Galveston and Texas City. He also worked for many years for American National Insurance and American General Insurance companies. A longtime community supporter, Jim was a member and past-president of the Optimist Clubs of Texas City where he helped organize the anti-drug group C.H.I.C.K.E.N. Club in Texas City ISD schools and volunteered time for the Optimist Club’s annual Christmas tree lot and golf tournaments. He was an active member of the Rotary Club of Texas City where he was a multi-Paul Harris Fellow recipient and attended most Rotary functions and he was a member and past director of the Texas City-La Marque Chamber of Commerce. Jim was a supporter of the Texas City Museum and enjoyed live music and theater performances as a longtime season ticket holder at College of the Mainland Community Theater. For many years he was a member of the Pelican Club Wine Luncheon Club of Gaido’s in Galveston and also had a passion for world travel.. He also was a continuous sponsor of youth sports teams in the Texas City community. He was a longtime Houston Oilers season ticket holder and a dedicated Luv Ya Blue fan. His passion for Houston professional football continued as one of the first season ticket holders of the Houston Texans. He also was a devoted Houston Astros fan. An avid golfer you can to this day find some of his lost golf balls scattered across Bayou Golf Course in Texas City. A visitation service will be held from 5 p.m. to 7 p.m. followed by a Rosary on Monday, March 16 at Carnes Funeral Home, 3100 Gulf Freeway in Texas City. Holy Mass will be held at 10 a.m. Tuesday, March 17 at St. Mary of the Miraculous Medal Catholic Church, 1604 Ninth Avenue North in Texas City with Father Gary Rickles officiating. Pallbearers will be T.J. Aulds, Jay Matus, Joseph Colvin, Bryan Kelly, James Fremont, Travis Hazzard and Robert Zepeda. Honorary pallbearers will be Ernie Sanchez, Charles Herbeck, Jim Niebuhr and members of the Rotary Club of Texas City. Burial will follow at Forest Park East Cemetery, 21620 Gulf Freeway in Webster. In lieu of flowers the family asks that donations be made to St. Mary of the Miraculous Medal Catholic Church or the American Foundation for Suicide Prevention at AFSP.org in honor of Jim’s grandson, John-Paul Caro.